When photography and video editing comes to mind, it's a powerful topic with limitless possibilities. If you think about the world that we live in today, everything you see around you in books, magazines, and photos on walls and in businesses; they all originated from capturing a photograph. With a great imagination and the passion for photography, you can capture exciting images that will become long-lasting memories using one of these photo enlarger apps. Photography is a beautiful thing. Artists and professional photographers around the world are hard at work to capture, create and edit these images to add value to your life and businesses. People can do incredible things with original photos with the help of many different professional software programs to select from that are available to you. 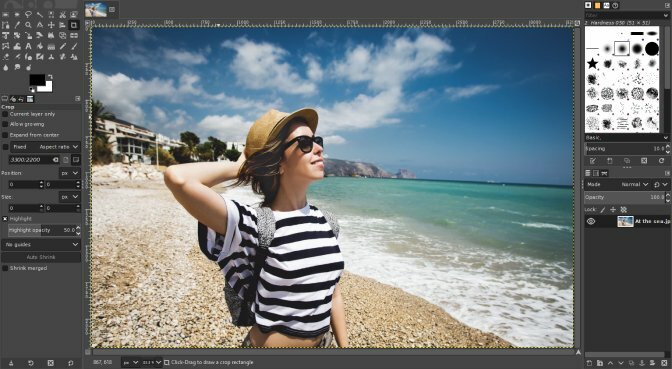 With these tools, you are able to enhance and enlarge images, create upscale images without distortion and even edit certain images to black and white to give you a classic original feel. The possibilities are limitless when you use photo editing software to enlarge and further enhance the original image. Our world really revolves around photographic imagery when you really think about it. Let's go ahead and take a look at some fantastic photo enlarger apps and learn about different software tools that you can download or purchase to take that picture to the next size up. With modern technology and continuing advancements in software capabilities, finding the right photo enlarger app is easier than ever and you can take your personal or professional photographs to the next level while maintaining quality and making size enlargements that you never imagined possible. Read further and check out the benefits that some of these popular photo enlarger apps provide. Many of these apps offer you a variety of great features that you can utilize to your advantage to create precious photos that you can cherish for a lifetime. Resize and personalize your favorite photos by enlarging them to your liking with some of these great apps listed and described below. Many of these featured apps allow you to make photos bigger without losing quality. You can try out these different programs that will help you edit and enlarge your photos to your custom and personalized needs. 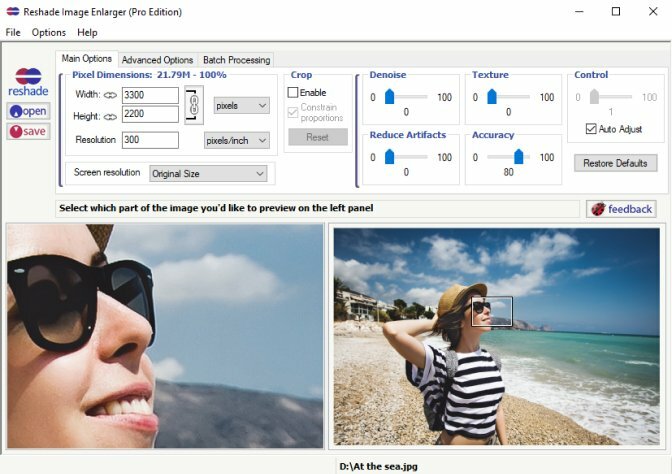 Please go ahead and read on to check out the high-quality digital photo enlargement software options available for free. Using these photo enlarger apps can allow you to make photos bigger without losing quality. Take a small photo and recreate it to be upscale without distortion. Using this free software will help you achieve professional results with your Microsoft OS or Mac system. You can even take iPhone photos and edit them to share on Instagram or print them to place in an album once you edit them to your liking. Featuring photo magnifier capabilities and options to convert images from original to black and white, these are some of the best photographic enlarger brands and have received great reviews. Take your film and images to the next level with these sophisticated tools available to you. 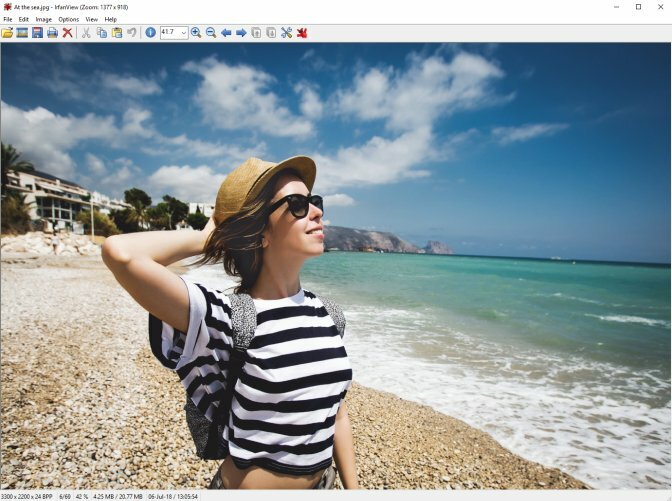 Using Photo Editor 5.5 you can take original photos and turn them into a masterpiece with a selection of great tools to utilize to your advantage. With Photo Editor you can take original images and use the white balance tool to restore natural lighting and remove any unwanted objects while enhancing the image quality. From there, you can customize and restore old photos, while changing the background to your liking. With so many great features, you can create stunning images that you can preserve for a lifetime. 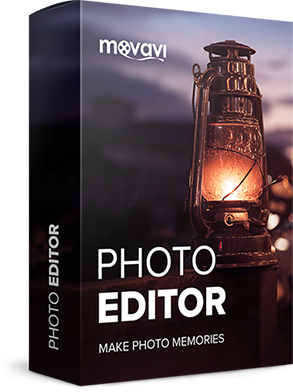 Movavi Photo Editor easily lets you crop, rotate and resize, while applying different filters to achieve a different look. You can also easily adjust sharpness while using the color correction tool to create vivid colors and healthy-looking skin. You can reshape images and create the perfect size. In addition to that, you can insert images together to create one-of-a-kind collages. Movavi Photo Editor lets you use your imagination in combination with our great tools to achieve limitless possibilities. The best part is that it's available for you to download and use on a free trial to see if our product is right for you. Gimp is an abbreviation for (GNU) Image Manipulation Program. 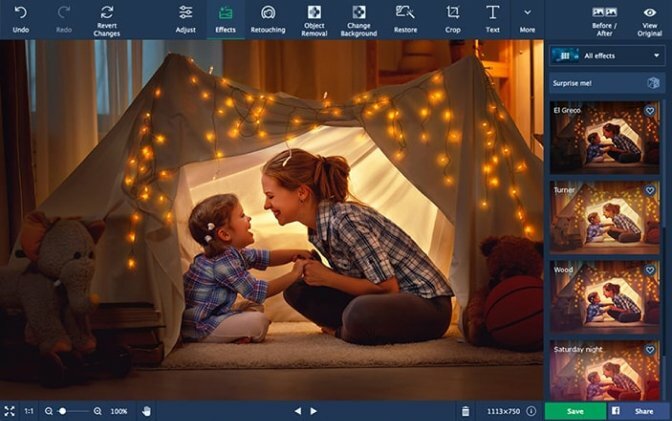 This is a professional based and free photo enlargement software that's great for multiple different photo editing jobs such as image size enhancement, photo touch-ups, and has a wide assortment of capabilities. You can use it as an expert quality touch-up program, process large size batches online, and even image conversion. In addition to this, GIMP offers a paint program and lets you change the original image format. This program is scalable and with its featured design, you can almost do anything. Known for its advanced script interface, this lets you take a simple small photo and make it more complex using image manipulation. The Standard and free Edition of Perfect Resize was formerly known as Genuine Fractals. This free software program allows you to easily increase original image size without sacrificing or losing sharpness. This program offers a range of new presets that feature much faster processing speeds and lets you prepare photos for print or enlargement using basic snapshots taken with your iPhone or Android mobile phone. You can sharpen and adjust clarity and image detail with its great built-in presets. This program is available for free download to consumers and private parties. 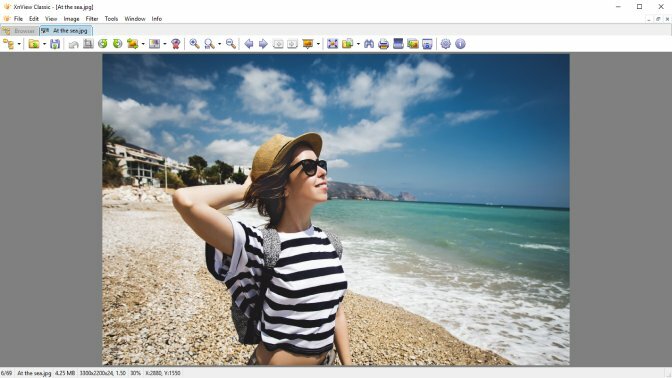 Originally published and released back in 1996, IrfanView is an easy to use, adaptable image editor, enlarger and converter software program designed for Microsoft Windows. It's known for its fast speeds and its capability to carry out a large diversity of graphic file formats. IrfanView also lets users play audio and video files while being able to enlarge images and allowing you to use the tools painting features. This program has been rated high in many consumer reviews and is offered free to consumers for non-commercial use. XnView is a great photo manager and image organizer which lets you effectively and easily organize, view and convert images for editing. This is licensed as a free professional software for private use. It's available and fully compatible for Pocket PC and Windows OS. They also offer an extended version of the original software that is compatible with Linux and MAC OS. XnView comes fully integrated with photo size adjustment, batch renaming, and hex inspection. Some great features about XnView are that it's offered as a multi-lingual program allowing users around the globe to use the program. This software can easily read over 500 different file formats, including certain audio and video files. This free software fully supports JPEN, PNG, TIFF and ICC files. Pixelmator is a fully functional and incredibly powerful graphics and photo image editor and enlarger designed for Mac. Known for its great selection of tools; you can enlarge and enhance original photos for minor touch-ups. In addition to this, you can easily draw, paint, and even add a variety of messages and fun shapes into the picture to create one-of-a-kind personalized photos. 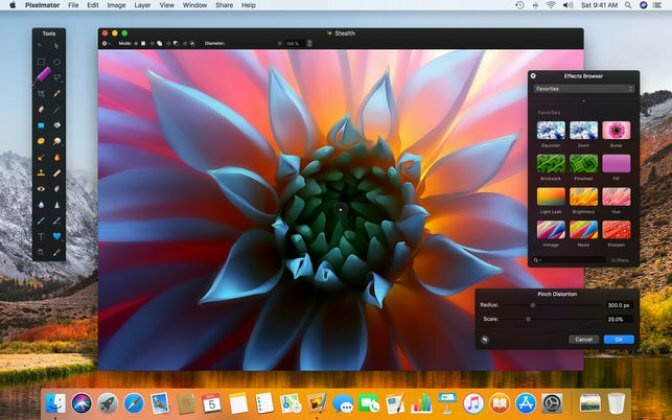 Pixelmator is powered by GPU image processing. It features top of the line color management and uses OpenGL technology which uses Mac's video card to process original images. This great software offers users great equipment that provides great color management and automation. 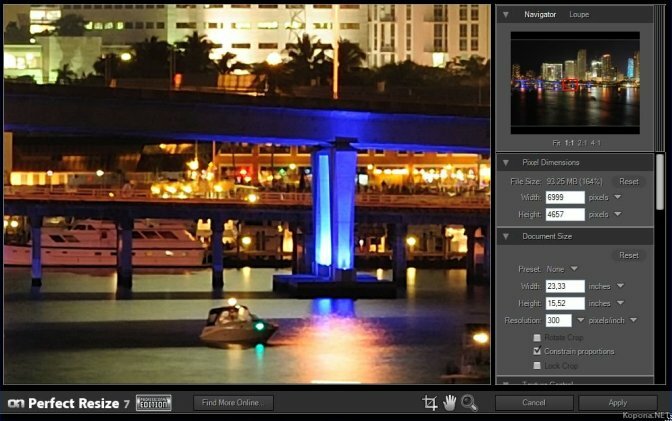 This photo enlarger app is another completely free software that provides you with some cool options that give you the ability to enlarge and create upscale images individually or in batches. This program is great because it provides a nice selection of advanced tools with certain options that help you create bigger images and keep the original quality while enhancing the appeal. You're able to adjust the height and width of photos with this programs customizable settings while controlling the texture to achieve the desired accuracy. With advanced features, you're able to also precisely control JPEG compression and adjust elements to reduce the exposure of unnatural artifacts. In addition, you can also zoom in and adjust it to your liking, before saving and printing your photographs. This program was rated high in reviews and is available at zero cost to you.